Ponzano Romano is a small town in the province of Rome, overlooking the Tiber Valley, located about 50km from the capital. The town's name derives from "pons Jani" (bridge of Janus) or "gens Pontia", from the name of a wealthy Roman family, which owned, during the Ages of the Empire, a villa and some of the lands in the area. The Benedictine monks, that had settled in the Abbey of St. Andrew in Flumine since the VIII century, had assigned the fundus of the Ponzano in the middle of the XI century,. The village has medieval origins, founded presumably around the XIII century, although the area had been inhabited since the pre-Roman period by the Etruscans and Sabines. 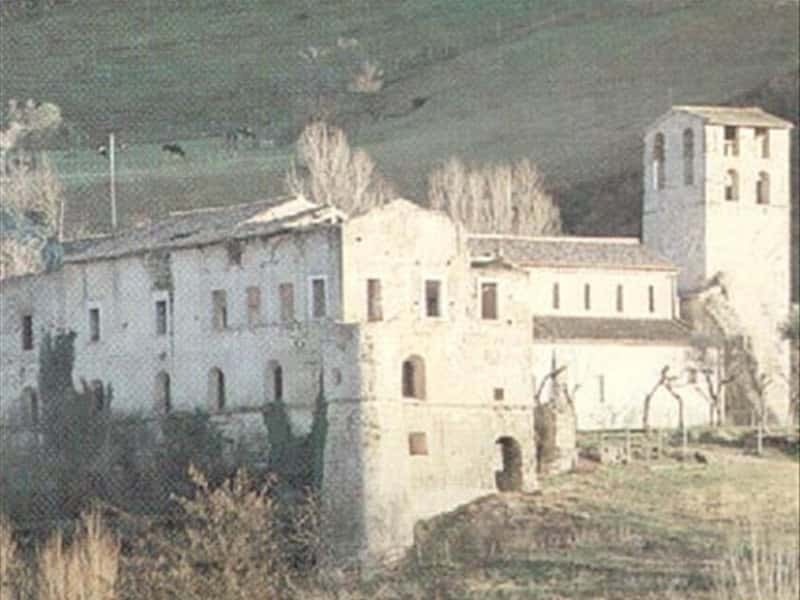 - the picturesque St. Andrew's Abbey in Flumine, situated in a panoramic location. The local history reports that the church was founded by Galla in the VI century, while the monastery was built by Carlomanno. The church features a rare example of a medieval "rood screen", which was surmounted by a rood loft carrying the Great Rood, a sculptural representation of the Crucifixon. The screen divides the chancel (the area with the main altar) from the nave (the main part of the church for the congregation). Inside it is possible to admire beautiful cosmateschi mosaics and an elegant canopy attributed to Nicola and Giovanni Guittone. The paintings in the triumphal arch of the apse, which represent the Resurrection and the Crucifixion, date back to the XV century. This town web page has been visited 25,720 times.